It's been known for a few months that in the upcoming BioShock 2 players will be stepping into the boots of the first-ever Big Daddy: the prototype of the ones that you fought in the original BioShock. 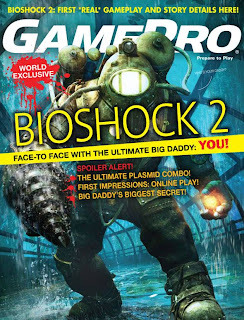 The cover of the July issue of GamePro reveals the design. And the mag promises to deliver a lot more details when it hits the stands.